Want to implement a city-wide system for assessment and communication? Moscow Electronic School. The Smart School in the Smart City. Moscow Electronic School is a comprehensive system, which provides hard - and software for most aspects of school life like school equipment, electronic toolkits for school security and access control, canteens and bookkeeping. Moreover, we have a citywide online register and mark-book, which is uniform for every school in Moscow and has a single database. But the star attraction of Moscow Electronic School is it’s electronic library which makes the learning more accessible, gives equally great opportunities for any school and any student. So, what is the electronic library and how does it work? Firstly, electronic library is actually a website where you can find all textbooks and electronic lessons in any subject for free. You just use filters to choose whatever you need, full version for free! Students have all the books for all years at hand and if they want to see what’s next or revise anything, they can easily find a book for it. Besides books, the library also has about 30 000 interactive electronic lessons and extras like separate tests, videos, images and much more. This library is not only for students and teachers. Anyone can register without age limits or regional restrictions. Secondly, teachers also must have equal opportunities to be heard. We used to have a closed community of people who could publish their books. Moscow Electronic school has made publishing possible for anyone. Any teacher, expert in their field or education enthusiast can use a free simple online tool to make an e-book or design a single lesson on a particular topic. You can have inspiring interactive assignments in which you can move images or you can draw over your slide, or you can make a test which will instantly check the result and much more. Moscow Electronic School has a panel of experts who check if the lessons and books satisfy bespoke criteria. If the criteria are fulfilled the item becomes available for everybody. Today we have around 30 000 e-lessons and e-books made by teachers. This means that any teacher can use other teachers’ e-lessons or adjust them to their needs. As a result it takes less time to prepare for each lesson and saves time for coaching, analysis or creativity. The main idea of this open library was to discover innovative, successful and creative teachers and spread their works so that every child could benefit from them. Nowadays students don’t have to travel to attend an elite successful school because their local school has the same resources, teaching methods and equipment. What else? 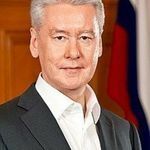 The idea of the Moscow Mayor Sergey Sobyanin was to involve into this project the whole creative community to provide the most inspiring lessons for the children. To attract more innovators there is a grant programme. The authors of the most popular lessons and e-books receive money awards for their works. We have an award ceremony weekly. This project gives an opportunity for the young professionals to be recognized despite their age and spread their ideas all around Moscow and hopefully even further. As a result more and more people choose to become teachers as they have a lot of opportunities to be recognized even at a young age and receive compatible gratification for their work. What about the equipment to use our E-library? A teacher can use it with only a projector and a white wall because it’s actually a website, which can be displayed on any whiteboard. But as part of Moscow electronic school project Moscow government equipped schools with interactive boards, which can be controlled by a smartphone or a tablet computer. Also, it is compatible with any gadget used by students. We have a special smartphone application for the students and teacher. So, the lesson can be broadcast to all students’ gadgets in the classroom. In the classroom we have a bright and safe interactive board. The teacher can control it with her hand-held gadget. Students have their own devices and use them to see the content from the back rows and to do the assignments individually or in pairs. Therefore all the exercises are checked and we can have a lot of communication and speaking practice. The students are never bored, and even less experienced teachers can provide motivating, joyful and engaging learning. As a result of all this we have an open and the most popular public service in Moscow providing a qualitative and exciting learning in any school throughout the city, satisfied households and bringing brilliant PISA results this year. Moscow Electronic School is extremely innovative in its creation of unification operating as a public e system, integrating citywide info, alongside a communication tool for parents and schools, as well as different city components, with dashboards for students and teachers to create and monitor content. It is a unified cyberspace for all stakeholders in education. Moscow Electronic School is the most sought after public service in the metropolis. It is currently used in more than 800 schools, with more than 80,000 employees for more than 1,400,000 students across Moscow. It receives more than 400,000 requests a day, supporting different stakeholders in education from parents to teachers and students. With a scalable online technology platform, Moscow plan to scale this model across Russia and for those interested abroad in the short and long-term future.